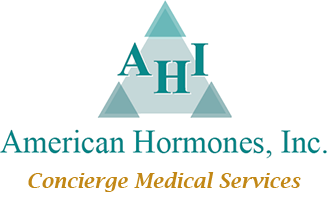 Medical Concierge Services | American Hormones, Inc.
At American Hormones, our goal is to optimize your health and vitality. While the traditional healthcare model waits for you to be diagnosed with a disease before treatment, AHI offers preventative bioidentical hormone treatments and more to optimize your wellness, physical vitality, and energy. We work directly with your physician in a comprehensive evaluation using laboratory testing. We use a proactive and evidence-based scientific approach to optimizing your hormonal balance and metabolism. There is no middle-man between your doctor, pharmacy and laboratory. With medical concierge services from AHI, you can see your physician for your existing conventional treatment and your wellness and longevity treatments. To be contacted by one of our Concierge Service Specialists, please complete the form below.